In any case, your passport must be valid up to 6 months after the day you leave the country. You can make a request for a Laotian visa at the Lao embassy of your home country. Besides, you can also make a visa at the border. There are several official border posts you can go through to enter Laos. 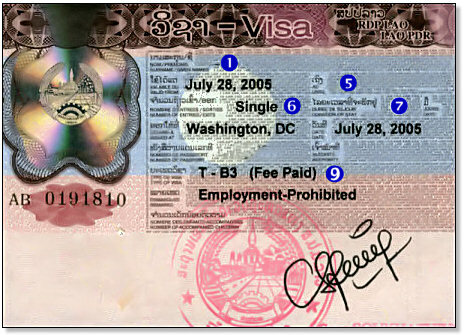 For that process, you will need US dollars or Thai bahts, since they are the only currencies accepted at the Laotian border, and an identity picture. No vaccine is required to enter Laos. Nevertheless, all travelers should be up-to-date on routine vaccines. They should also bring a first-aid kit and some mosquito repellent. Medical facilities and services in Laos are limited. Nevertheless, in case of emergency, we advise you to have a look at the list of local area hospitals compiled by the United States embassy in Vientiane. 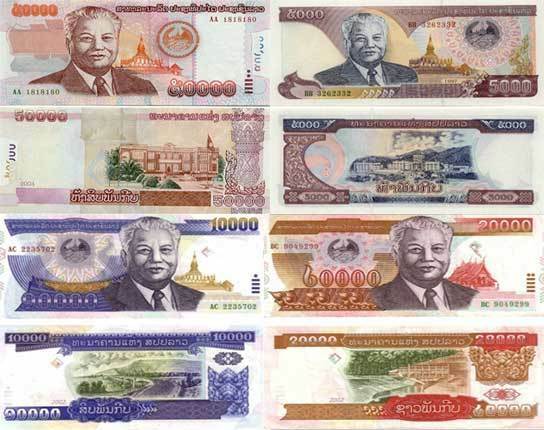 Cambodia’s currency is the riel but most exchanges and payments can be done in US dollars. Besides, cash money is mostly used. Only international restaurants and hotels may accept credit cards. Laos’ weather is tropical and divided in three seasons. Dry season can be defined by two different periods: first, the cool dry season, from November to February, and then the hot dry season, from February to March. The wet season runs from May to November. Temperatures vary from 14 to 28 degrees Celsius when it’s cool and from 28 to 30 degrees Celsius when it’s hot. Daily Laotian food consists of spices, peppers, rice, noodles (rice noodles), wheat noodles, fish and meat, and vegetables and fruits. Here is a non-comprehensive list of Cambodian dishes you may encounter during your trip. 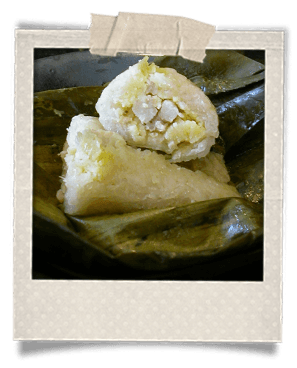 Khao Niao: Literally glutinous rice, actually steamed rice. Khao Lam: Steamed glutinous rice cooked in a bamboo tube and sweetened with coconut milk. Kapi: Paste made of pickled shrimps. Pa Dek: Paste made of pickled fish. Kieou: Paste made of peppers, herbs and garlic. Nam Pa: Also called nuoc mam (from the Vietnamese language), it is a fish sauce. Tam Mak Hung: A traditional Lao dish made of smashed green papayas with lime, garlic and pepper. Lap: A traditional fish or meat salad flavored with lime, mint and pepper. Mok: A meat or fish pâté steam-cooked in a banana leaf. New Thadeua: Crispy or fried rice salad, accompanied with vegetables, peanuts, fermented pork meat, and served with aromatic leaves such as mint, coriander, basil, all wrapped in a salad leaf. Khao Poun: Often a noodle soup served in a spicy coconut milk broth with mint and soy sprouts. Ping Kai: This grilled chicken dish is accompanied by glutinous rice (khao lam). It can also be served as chicken meatballs and sesame grains, accompanied by fresh fruits. Tom Yam: Spicy soup made of lemongrass, pineapple, coconut milk, fish or meat, and many other ingredients. Pho: This dish is from Vietnam but has become very popular in Laos. It consists of a noodle soup flavored with mint, basil, soy sprouts, coriander and meat. Ôlam: Eggplant, chicken and mushroom soup that is a specialty of Luang Prabang. Som Mou: Pieces of raw meat (either fish or pork), marinated in pepper and vinegar then fermented in banana leaves. Lao language, also called Laotian, is a tonal language with six tones that belongs to the Tai-Kadai language family. It is the official language of Laos. Because of migration history, it is also spoken in the northeast of Thailand, and it shares common roots with the Thai alphabet. There is no standardized form of Lao thus there are many variations in vocabulary, pronunciation and accent throughout the country. Besides, ethnic minorities may have their own dialects, almost all of them can speak national Lao and thus understand one another. French is still used as a diplomatic and commercial language but only a minority can actually speak it. Nevertheless, it is studied by over a third of students in Laos. In Laos, distances are large and transports are not very reliable. Infrastructure tends to get better but national roads, trails and other kinds of paths might be impassable depending on the time of the year. There is no railway in Laos but a Bangkok-Vientiane line might be built in the future. Plane: There are three international airports in Laos: Vientiane, Luang Prabang and Pakse that connect main cities in countries of Southeast Asia such as Thailand, Cambodia, China and Vietnam. National flights allow people to travel fast throughout the country. Boat: This means of transportation connects main places in Laos and provides stunning scenery during the whole journey. If you have time, boat is a good bet. Taxi: Taxis in Laos are not equipped with taximeters. As a consequence, we recommend that you bargain the price before getting in. Car: The safest and most comfortable way to travel around Laos is to get a chauffeured car. Motorbike and bicycles: Beware when you ride a motorbike or a bicycle that road and health infrastructure is precarious. Check the motorbike before going on a trip. Bicycle might be the safest means, and enjoyable in big cities such as Luang Prabang and Vientiane. Tuk-tuk and samlo: These are exotic kind of transports. Tuk-tuks are three-wheel vehicles equipped with an engine whereas samlo are three-wheel bicycles that tend to disappear. 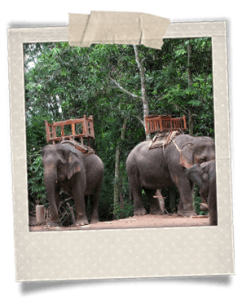 Elephants: Elephants used to be a major transport in Laos, and the fastest. Because of their size and strength, they could go through irregular trails. Obviously, things have changed and today, the only way you may ride an elephant is through a touristic stroll. Laos’ population is estimated to be around 6,5 million inhabitants. It is a landlocked country stretching over 236,800 square kilometers. It shares a border with Thailand, Burma, China, Vietnam and Cambodia. Despite no access to the sea, it is crossed by the Mekong River. Vientiane is its capital city. Regarding its topography, Laos basically consists of plateaus and mountains. The Bolaven Plateau, which may be the most famous, is located in the Champasak Province, the southern part of the country. On the other hand, the highest mountain is Phou Bia and it is situated in the Annamese Cordillera, rising 2,819 meters above sea level. The official name of the regime is Lao People’s Democratic Republic. It is a single-party socialist republic ruled by the Lao People’s Revolutionary Party. It was proclaimed in 1975. The head of state is the president, who is also the general secretary of the party. The head of government is the prime minister. Laos is one of the poorest countries in the world with a 2-dollar average of daily income per inhabitant. In 2010, the gross domestic product (GDP) was 2,435 US$ per inhabitant, and the economic growth rate in 2012 was 8.3%, one of the best in Southeast Asia. 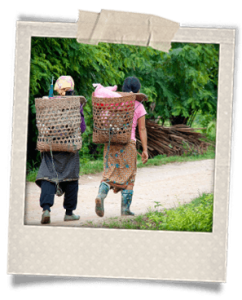 Despite a good economic growth, Laos still struggles against poverty and begging. The main fields of Laos’ GDP are agriculture (52%), industry (22%) and tourism (2,5 million tourists in 2010). Its chief trading partners include Thailand, France and Japan. Laos aims to modernize and boost the industrialization within its borders in order to get out of the Least Developed Country (LDC) group by 2020. Besides, Laos is part of the Association of Southeast Asian Nations (ASEAN), and the World Trade Organization (WTO). It is also a member state of La Francophonie. In terms of religion, Buddhism is the most practiced in Laos. More specifically, Lao practice Theravada Buddhism. It spread between the 14th and the 17th century, and some branches turned into something more animist (which attributes a soul to animals and objects), and Hindu. Theravada Buddhism is now followed by about half of the Lao population. 1520: Vientiane is the capital of the Khmer empire. 1885: Luang Prabang, Vientiane and Champasak are occupied by the Siamese. 1893: France absorbs territories into French Indochina via treaty with Thailand. 1940-1945: Japan occupies Laos before capitulating, which leads to an independency movement. 1946: The French are back in Laos. 1953: The country obtains full independence from France. 1954: The Geneva Conference recognizes the independence of Laos. 1975: The Lao People’ Democratic Republic is proclaimed. 1995: Luang Prabang is listed as a UNESCO World Heritage. 1997: Laos becomes part of the ASEAN.